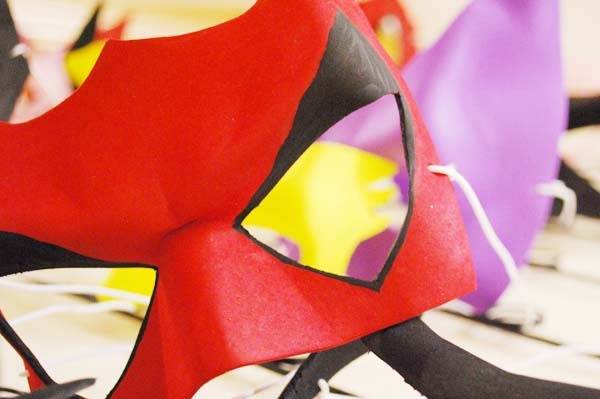 Our original plan had been to make fabric masks and capes for the kids so they could be “superheroes” all afternoon — but then my husband decided to shape foam sheets into masks and off he went, making a ton of them in a variety of colors and shapes. 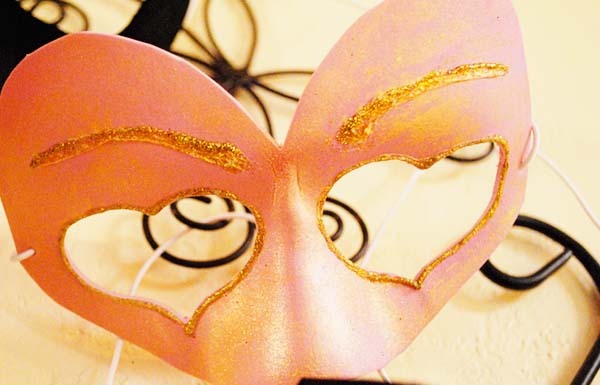 I loved the sparkly rose gold color and the heart shapes! 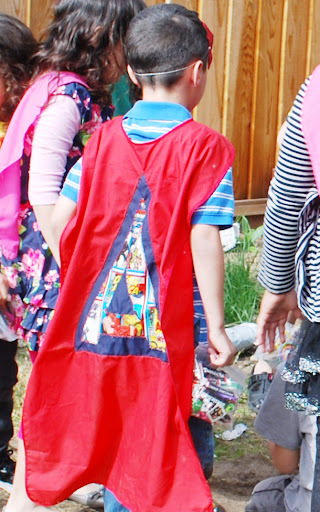 The kids loved choosing a mask and cape and wore them throughout the party – here are some of them during the piñata gorefest (not really). I made a few capes in different colors, and my son requested his be longer, and I added his initial on the back. This is so great! 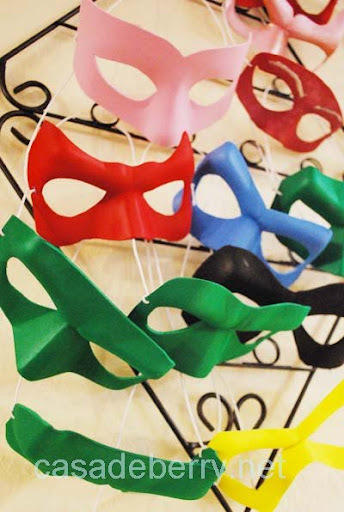 What a fun idea…kids always love masks! I love that they were able to pick their own. Great job! It was so much fun to see them choosing! Cute! Thank you for sharing at Potpourri Friday at 2805! 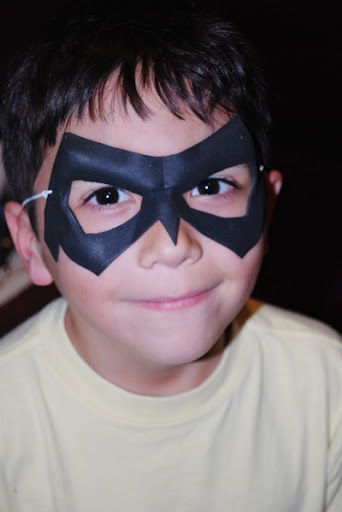 my daughter and i were planning a superheroes party for sam, my grandson. 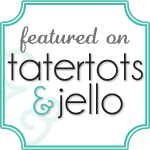 she happened across your blog and so glad we did. 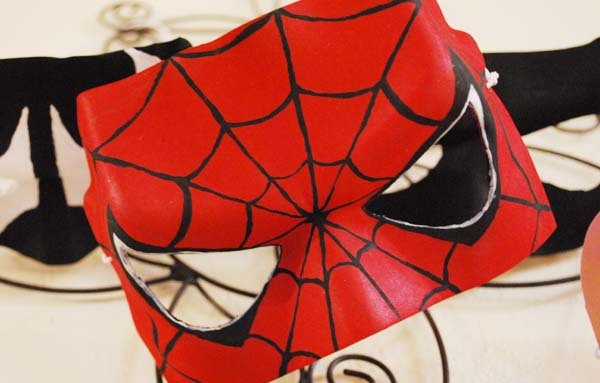 i had seen some fabric masks also and was thinking about making some, but i like your husband’s idea so much better. may i ask how he went about the process? i have included my email address in the log in area. Hope that helps, I can ask him for more details if you have any questions – thanks for visiting!!! emblem new reader. 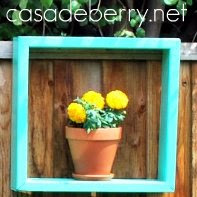 What might you recommend in regards to your put up that you made some days in the past?